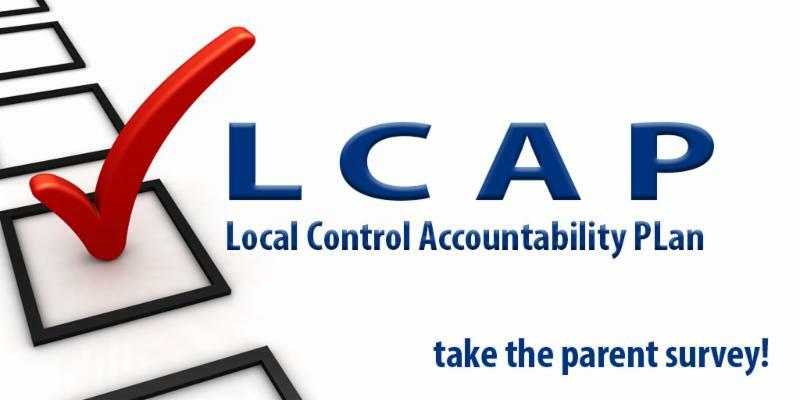 As part of the state of California's Local Control Accountability Plan (LCAP) framework, schools are required to gather input from students, teachers, parents, community members, and public agencies to determine their goals, actions, and budget priorities from year to year. To this end, please take a few moments to give your input to this important process for CATCH Prep by clicking on and filling out the survey below and sharing your thoughts and suggestions. 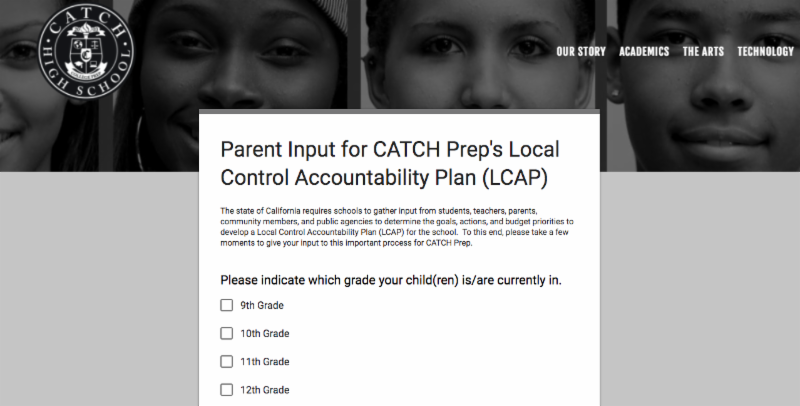 All answers are anonymous, and every suggestion will be included as part of our DAC & DELAC discussions where we are currently building our 2018-2021 LCAP for CATCH Prep. Thank you, always, for your continued commitment to making CATCH Prep the premiere destination for college preparation in all of South Los Angeles.